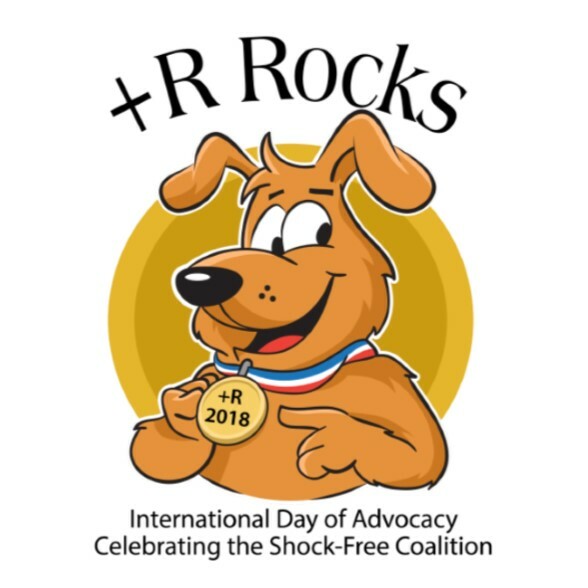 WESLEY CHAPEL, Fla. - Sept. 10, 2018 - PRLog -- The Pet Professional Guild (PPG) has marked November 17, 2018 as the International Day of Advocacy to celebrate the first anniversary of the official launch of its international advocacy initiative, the Shock-Free Coalition. The focal point of the celebration will be Let's Celebrate +R, a photo and video competition where pet professionals and enthusiasts can showcase the best of positive reinforcement-based pet training and education. Let's Celebrate +R will run from seven days prior to seven days post November 17. Entry will be via both PPG's North America/International and Europe websites with prizes issued to the winners selected from submissions to both sites. To participate in the International Day of Advocacy 2018, competition entrants have to take a photo and/or make a short video and submit it to one of the Let's Celebrate +R competition categories. There are three categories in both photos and videos, including Best Pet(s) and Handler Team, Best Group Photo, Best Pet and Child Interaction Photo, Most Creative Complex Training Video, Best Educational Video, and Best Volunteering Video. Winners and runners-up from each category will have the opportunity to win prizes to include professional training and behavior books and DVDs, free PPG junior membership, an entry to the DogNostics Dog Training Certificate program, and a 12-month subscription to PPG educational webinars. The winners from each of the six categories will then be forwarded to the final judging category, Best Overall Entry. The prize for the winner in the US/International category is a free entry ticket, including gala dinner, to PPG's Canine Aggression and Bite Prevention Education Seminar in Portland, Oregon on April 26-28, 2019. The prize for the winner in the Europe category is a free entry ticket to Woof in Nottingham, England on February 9-12, 2019 hosted by Domesticated Manners and Chirag Patel. Entries will be judged by a private panel using an objective criterion. "We invite pet professionals and enthusiasts from all over the world to participate in Let's Celebrate +R," said PPG president and founder, Niki Tudge. "The goal of the competition is to help educate and advocate for the use of positive reinforcement and force-free training and pet care methods worldwide as we work to build a broad movement committed to eliminating electric shock devices from the supply and demand chain worldwide. "We are now building on a successful first year for the Shock-Free Coalition by rolling out our first regional chapters and appointing our first regional coordinators. Let's Celebrate +R is our way of giving back toall those who have supported us during the launch and first year of the initiative, and is also a fun way to get more people involved, while being educational at the same time. I am looking forward to seeing all the photos and videos and sharing them with both our members and supporters as we work towards eradicating outdated, punitive training methods that aim to reduce or stop behavior through pain and fear. These methods have no place in modern dog training as, as we now well know, run the risk of both physical and psychological damage, with pets shutting down from fear or becoming aggressive towards people and/or other animals. As a result, the pet may end up being abandoned in a shelter, inaccurately labeled as "aggressive," or euthanized. Our ultimate goal is to prevent this from occurring, and creating a better, kinder world for both pets and their owners." The Pet Professional Guild (www.petprofessionalguild.com) is a 501(c)6 is an international membership organization founded on the principles of force-free training and pet care. Its membership represents pet industry professionals who are committed to science-based force-free training pet care philosophies, practices and methods. Pet Professional Guild members understand force-free to mean that no pain, force or fear, and no shock, choke or prong are ever employed to train or care for a pet. Pet Professional Guild's adult membership represents veterinarians, veterinary technicians, behavior consultants, trainers, dog walkers, pet sitters and groomers across many species, including cats, dogs, horses, birds, small animals (such as rabbits and guinea pigs), and exotics. The key purpose of the Shock-Free Coalition is to build a strong and broad movement committed to eliminating shock devices from the supply and demand chain. This goal will be reached when shock tools and equipment are universally unavailable and not permitted for the training, management and care of pets.The Shock-Free Coalition believes that pets have an intrinsic right to be treated humanely, to have each of their individual needs met, and to live in a safe, enriched environment free from force, pain and fear. The initiative has been developed purposely to bring together parties that have mutual business interests and a personal investment in the welfare of pets and embraces stakeholders of similar values and interests, enabling all parties to combine their resources and become more successful in achieving the stated goals. Members of the Shock-Free Coalition consider it to be their responsibility and utmost obligation to be vigilant, to educate, to remain engaged and work toward eliminating shock as a permissible tool so it is never considered a viable option in the training, management and care of pets.